Originally the History Channel alongside Mark Burnett and Roma Downey released The Bible Series which included various stories from the Bible from Genesis to Revelation, specifically the story of Jesus. Now with Son of God, we’re presented only the story of Jesus Christ the way it was presented in The Bible Series. 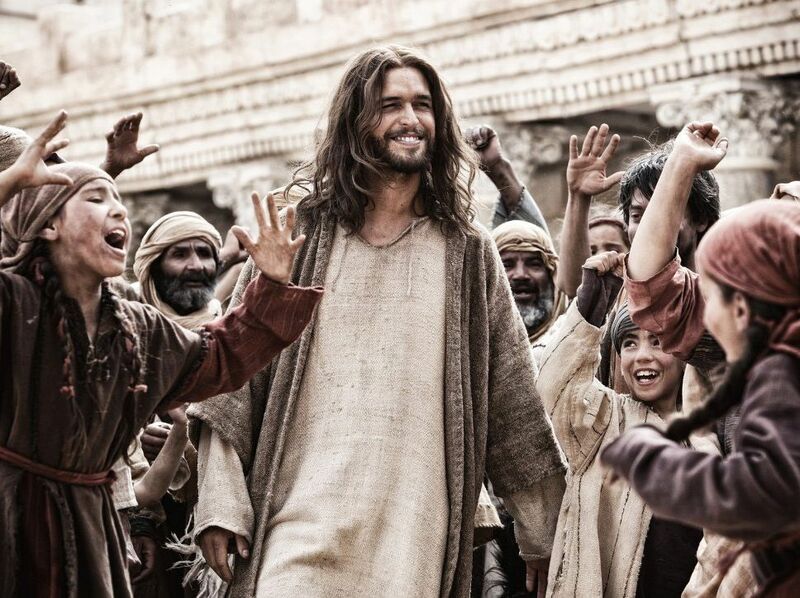 To be more specific about Son of God’s storyline, it shows the story of the life of Jesus from his birth to his teachings to people, death and powerful resurrection. Son of God begins with John, who is now the only disciple left after the persecution began, he is now exiled in Patmos and he tells Jesus’ story. The story begins with how Jesus was born from a virgin and how three wise men visited him and offered him gifts, there declaring him as King. Then we’re fast-forwarded 30 years later where Jesus (played by Diogo Morgado) is baptized by his friend John the Baptist. Now Jesus arrives in Galilee and begins finding people to be His followers, for example, Peter, the fisherman, James, John and Matthew, the tax collector. Jesus is considered a teacher due to his lessons and a miracle provider, this causes for Him to have many followers throughout Galilee who already consider Jesus as the Messiah. But this attention gets the Jewish religious leaders to keep an eye on him. These religious leaders, the Pharisees, are sure that Jesus is blaspheming against God since He’s forgiving sins and doing things only God is able to do. Jesus only responds that He is actually the son of God. Now Jesus and his disciples travel to Jerusalem to celebrate Passover. He enters on top of a donkey and many gather with palm leaves to greet him. There in Jerusalem, the Romans were extremely oppressive so Caiaphas, the leader of the Pharisees is worried that having Jesus there would cause agitation and a revolt. Something that Pontious Pilate did not want therefore he had threatened to close the temple and Passover would not happen. When Jesus tells a little girl that every stone from the temple was going to fall, the Pharisees think that Jesus wants to destroy the temple and scour a plan to have Jesus stopped. Now, Judas, one of Jesus’ disciples goes to the Pharisees and says that he wants to basically help get rid of Jesus, in that moment they give him 30 pieces of silver. That night at the Last Supper Jesus knows of Judas’ betrayal and so expresses it during that time with his disciples. Later all of them gather in the garden of Gethsemane where Judas kisses Jesus’ cheek and in that moment he is arrested by Roman guards. Caiaphas has a quick trial in private at night. He is scared that if a trial is made public then the celebration of Passover would be disturbed. Caiaphas asks if Jesus is indeed the son of God and Jesus without hesitation agrees. With this answer, the Pharisees find him guilty of blasphemy. The next day, Jesus is presented as guilty and because of this, Judas is ashamed of what he’s done and hangs himself. Caiaphas knowing that having the Pharisees kill Jesus would cause a revolt, he hands Jesus over to the Romans so they could continue with his punishment. Now because it’s Passover, Pilate will free a prisoner that the people choose. Pilate brings the crowds into his courtyard and makes the people choose between Jesus or Barabbas, a well-known murderer. But of course, those who entered the courtyard weren’t exactly Jesus’ followers and with Caiaphas words to the crowd against Jesus, Barabbas is released. It is decided that Jesus would be crucified and trying to avoid any kind of riots, Pilate agrees. With a crown of thorns he is told to carry his own cross to the Golgotha, there he is nailed to that same cross and humiliated in front of the masses. Jesus dies on the cross and the curtains that separated the Holy place from the rest of the temple was torn in two. Jesus is placed in a tomb secured by a large rock. Three days later Jesus is resurrected and at first, the disciples do not believe this news but when Jesus presents himself in front of them, they all believed. 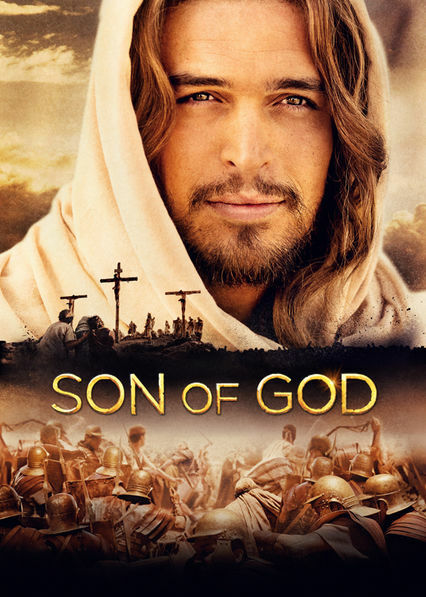 Jesus story presented in Son of God is amazing and I personally find that this movie is an excellent representation and really inspired by what its said in the Bible.